Looking for tips on how to increase your credit score to 800? If you’re like most people, you don’t give your credit score much thought. But then you have a big purchase you need to make or get denied credit and then start to worry about it big time. Is a credit score some mythical thing you have no control over? No, is the short answer. While it’s true you can’t directly influence it, there are a number of things you can do to improve it. The good news is there are tips on how to increase credit score to 800. Heck, it might even be possible to boost your credit score overnight. But it will take focus, patience, and dedication. After all, most financial messes take a while to make, so cleaning them up quickly won’t be easy. In this post, we’re looking at the proven ways on how to increase credit score to 800. How do I raise my credit score from good to excellent? First let’s define credit scores in terms of the good, the bad and the ugly. 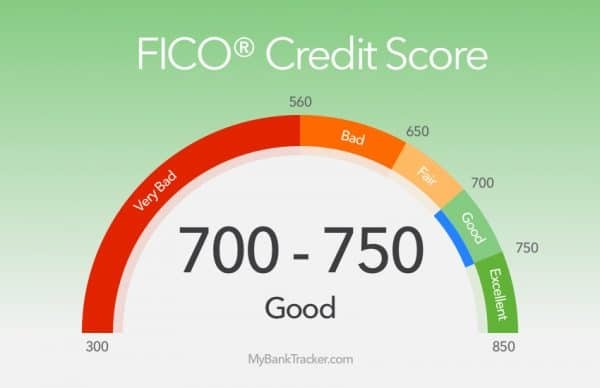 FICO, which stands for Fair, Isaac, and Company is the company that calculates the commonly used credit scores in the USA. In turn, there are 3 credit reporting agencies that creditors and debt collectors report your history too. These 3 are Equifax, TransUnion, and Experian. It is possible that all 3 won’t have exactly the same credit score for you at any moment. It’s also possible some creditors won’t check your score with all 3 agencies. So you can see a good credit score is 700 and higher. So to get into the excellent range you’ll need an increase of at least 50 points. Can you boost credit score overnight? Maybe, but there’s a lot of factors involved. So how do we do that? Let’s dive in deeper! First, let’s review how a credit score is calculated. That way you can see what areas will have the biggest impact. This is where you’ll focus your energy. You can see one of the biggest factors is payment history (do you have a long history of paying on time). Since this requires time to prove your creditworthiness, this is not where you will focus your energy. After all, when you’re wondering how to increase credit score to 800 or how to boost a credit score overnight, you’ll want some faster solutions. The next biggest factor is your total outstanding debt. This is looking at both how much your total debt is in relation to your income, but also how much of the available credit you are using. As an example, let’s say a man making $80,000/year owes $15,000 in credit card debt and pays his bills on time. If he owes all of that $15k on a credit card with a $16k limit that means he’s used up almost all of his available credit. If he owed $8k each on 2 different credit cards with $16k limits, he would be well under his total available credit. Thus even though the same man owes the same amount on the same salary, theoretically in the 2nd example he could have a much better credit score. So when learning how to raise your credit score in 30 days or how to increase credit score to 800, look at where you owe your money and how much you owe in relation to your limit. While it may not be possible to boost credit scores overnight, you can take certain actions that can cause quick improvement. 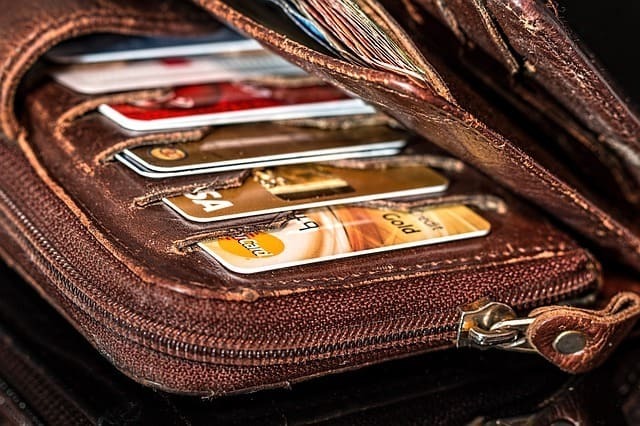 If you have maxed out your cards, either pay them down significantly or at least to where you owe less than 75% of the total limit. If you aren’t able to do that call your card companies and see if they will raise your credit limit. DO avoid the temptation of using the new and improved credit limit. After all, being in debt is NOT where you want to stay. While you could try and get new cards and do balance transfers, there are 2 dangers there. Any new line of credit will generate a credit inquiry on your credit score possibly having a small negative impact. Can you really boost credit score overnight? The short answer is pretty much no. That’s simply too short a period of time. Could you impact it 20-40 points over a week or so? Maybe. But you’re still at the mercy of many different people none of whom truly care about your credit score. So when we start with an unreasonable expectation, we’re setting ourselves up for disappointment. So set your sights on a more reasonable goal, be diligent and you can achieve that goal. How do I get my credit score up 100 points in one month? As with any of these how to increase credit score to 800 strategies it’s important to realize that it may not work as well or as quickly as you want it to. As I said above, there are just too many factors out of your control. 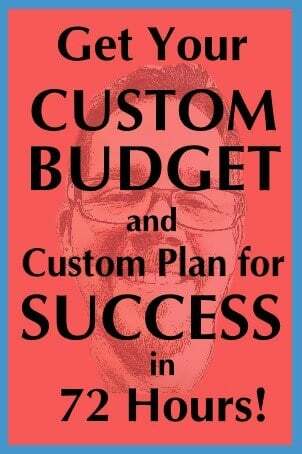 Thus if you have a big purchase planned, the further in advance you can start this process, the better. I go into EXTENSIVE detail in a highly shared post about Credit Report Repair, so to dig in deeper or if you know there is damaging info on your credit report, I highly recommend taking a look there too. The good news is that the moment FICO receives an update they do generally get your account updated within 24 hours. The bad news is your creditors don’t always report positive information in a timely manner. Thus anytime you are paying off a debt in collections or past due debts, ask the creditor to guarantee in writing that they will remove any negative entries from your credit report within 24-48 hours of receiving payment. Get this before you give them your money. Once you pay them you lose 100% of your leverage. After all; they just want your money. They don’t really care about your credit score. If they get paid, they’ll be likely to agree to anything reasonable. Just get it in writing (email is fine) and then make sure to pay by cashier’s check or money order only. Not sure troubleshooting on your own works for you? You can hire a reputable company to repair your credit also. What percentage of the population has a credit score over 800? About 20% of the population has a credit score of over 780 which is well into the excellent range. 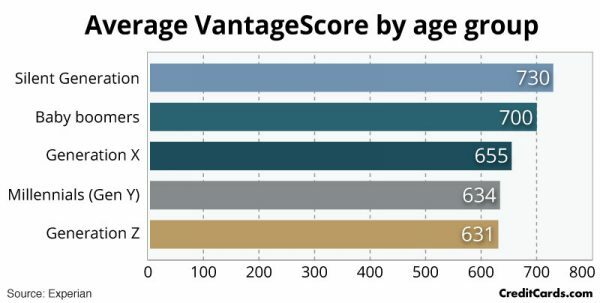 Not surprisingly, the older the person, the more likely they are to have a higher credit score. So if you’re wondering how to increase credit score to 800, just wait a few years. The silent generation (age 68 and higher) tend to fare the best, while Millennials and Generation Z tend to fall into the low 600’s. As we age we (hopefully) learn how to handle money better. We also tend to deal with past mistakes and are more likely to have paid off things like cars and houses. We also have a much longer payment history. And if much of that history is good, as we know from above, that impacts 35% of our score. Is a credit score of 550 bad? 560 is generally where credit scores start to be classified as “bad”. Thus 550 or anything below that is a bad credit score. The good news is it’s not usually hard to raise the score up a little bit from there. A bad score typically would mean you have debt in collections you haven’t dealt with or paid multiple creditors 30 or more days late on multiple occasions. So start to pay your bills on time. Learn how to increase credit score to 800. Even if you don’t quite hit that number, you’ll be far better off. Go back to the debts that are in collections and start to negotiate. These so-called bad debts often get sold to collection companies for pennies on the dollar. Thus while I always think paying what you owe is important to your integrity, if you are dealing with a collection company and not who you borrowed from originally, don’t be afraid to make a low-ball offer. If they can get 25 cents on the dollar of what you originally owed, they will likely take it! Want some additional tips about how to Pay off Debt and Raise Your Credit Score? Check out a recent guest post I wrote on the great Finance for Geek website. End your cycle of always being behind on your bills! I get it! While you can learn how to increase credit score to 800, ultimately you need to get out of the rut and make different financial decisions. 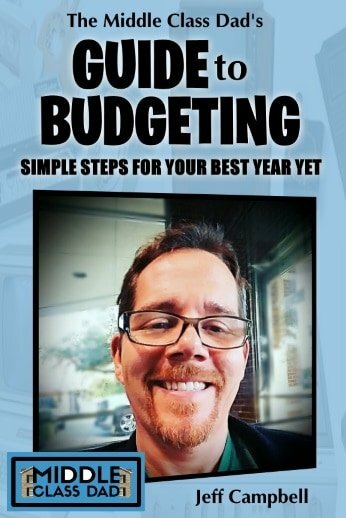 To get ahead, we need to do a written budget every month before the month begins. So, to sum up, here are my . . .
Pay at least to where you owe less than 75% of your total credit limit. Have 4 cards each with $4,000 limits? Pay each one down to where you owe less than $3,000. If you can’t pay down your debts, don’t borrow money from any source that will impact your credit report; friends or family are the best options. Sign an agreement if needed, but they won’t be running your credit or reporting the loan. If you have any past due bills or debts in collection, pay them off (negotiating down and having them remove their fees). But get it in writing (email is OK) they will remove any entries from all credit report bureaus within 48 hours of receiving your payment. Always get agreements in writing before you pay and only pay by cashier’s check or money order when paying debt collectors. Don’t take out any new loans, credit cards, etc. Don’t inquire about any purchases or loans where you have to enter your social security number. Any time you give your social, you risk having them run your credit. Each time your credit is run, it can knock down your score temporarily. Have you struggled to find effective ways of how to increase credit score to 800? In this post, we reviewed how to increase credit score to 800 and the top things you can do to quickly raise your credit score. We also looked at how the scores get calculated, what areas impact the score the most. And we also looked at some of the myths out there about boosting credit scores quickly. We also reviewed some of the best tips for not hampering your credit score right before a big purchase. Most importantly we now understand what’s possible and that it’s entirely possible to increase a credit score to 800 without having to pay a company to do it for you. If you like this post, please follow my Credit Score Tips board on Pinterest for more great tips from myself and top credit score experts!